What to do with those keys on your next swim? Try Saggio Pocket! This clever item is a small pocket that you attach magnetically to your swim suit or clothing. 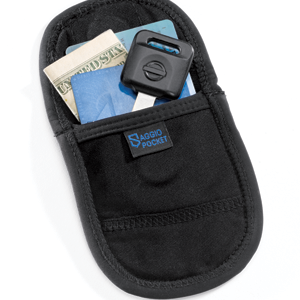 Made out of high performance, moisture wicking fabric that can be machine washed and dried, it’s the perfect size to hold you keys, ID, and cash but not be too bulky. A safe way to carry your valuables on your next swim, run, hike or anytime you don’t have a pocket!